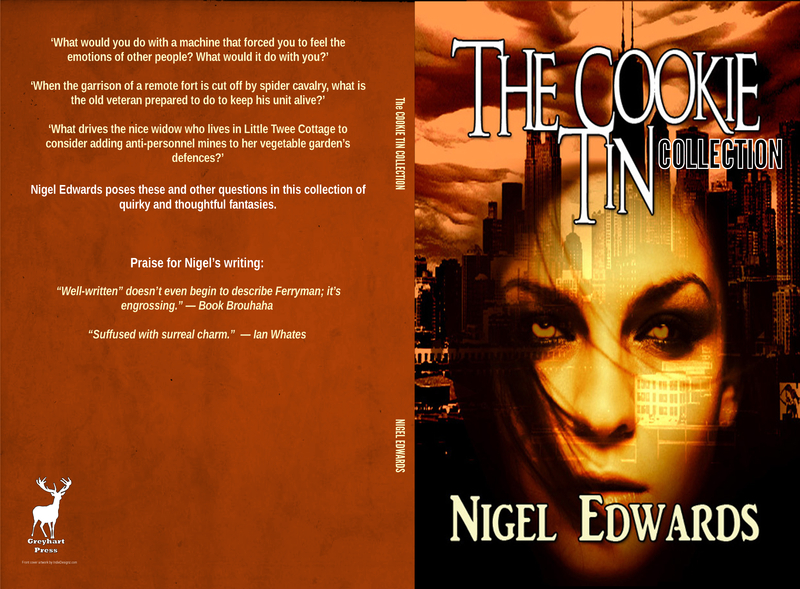 Another September launch is a debut collection from Nigel Edwards, The Cookie Tin Collection. Details below. This will be available in paperback at FantasyCon. For no reason other than prioritizing time in this very busy month, this will be our first release that will initially be paperback only. eBook editions will follow soon after. Nigel Edwards poses these and other questions in this collection of quirky and thoughtful fantasies. This entry was posted in Book launch and tagged anthology, fantasy collection, fantasycon, nigel edwards, novelette, short stories. Bookmark the permalink. Have a fabulous time at FantasyCon! We sure will, thanks. Be sure to look out for the inevitable YouTube of Paul Melhuish late at night at the bar, doing his impression of Davros.